8 days | From 8200RMB/pers. You will discover the eastern end of the Silk Road. You will visit the well-preserved ancient cities. You will drive to the paddy fields' area in Guangxi. Walk into the villages, along the river. You will appreciate the quiet landscape. 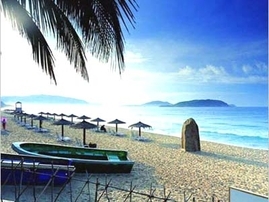 In order to conclude your trip, you will enjoy 4 days on your own leisure to fully indulge yourself on the charming beach in Sanya. Take the train in the evening from Beijing to Pingyao. 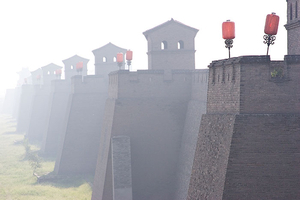 Arrive in Pingyao in the morning. Your driver will meet you at the railway station. Today, you can visit on your own the well-preserved ancient Pingyao city, such as City Wall, Ming-Qing Street and Ri Sheng Chang Financial House, and so on. After dinner, take the overnight hard sleeper train from Pingyao to Xian. 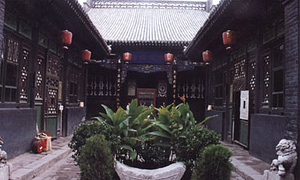 Arrive in Xian in the morning, the great ancien capital and the eastern end of the Silk Road. Your guide will take you for a city tour which begins with the visit of the ancient City Wall by bike (1.5 hours), and Big Wild Goose Pagoda, which was built in 625 A.D. It contains a large volume of Buddhist scriptures which were obtained from India by the eminent monk Xuanzang. Spend the night in Xian. 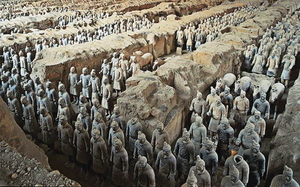 After breakfast, visit with your tour guide the Terra-Cotta Warriors and Horses at the Tomb of Qin Shi Huang, the first emperor in China. Added highlights are Banpo Museum, then leisure at Muslim Quarter. Take a flight in the afternoon and arrive in Guilin in the evening. Spend the night in Guilin. 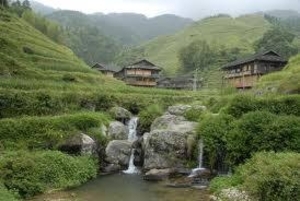 After breakfast, drive to the paddy fields to visit with your guide the villages of Ping'an and Dazhai (a 2-hour drive). After a 30-minute walk, arrive in the village in your wooden hostel. In the afternoon, go for a hike into the paddy fields and meet Yao's women, famous for their beautiful hand-made costumes, their heavy jewels, and their long hair landing sometimes on the floor. Appreciate the sunset. After breakfast, drive in a private car to the Yangdi village, located near the Li River, in the middle of the karstic landscapes and the hills (a 3-hour drive). 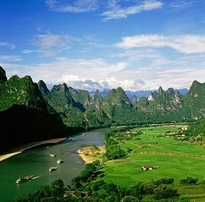 Walk along the Li River, through small villages of fishermen, paddy fields and bambou groves. Lunch with a resident or in an hostel (excluded). Finish your day with a bamboo raft's cruise to Xingping village. 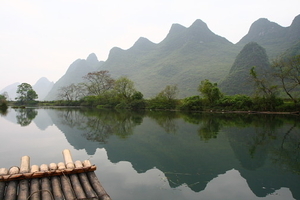 Then go to Yangshuo by local bus and arrive in your guest house, situated close to the river and the lively district. Discover the Yangshuo center. In the evening, enjoy a musical show, based on "Liu San Jie'', a famous Chinese musical show, directed by Zhang Yimou. Spend the night at the guest house. After breakfast, visit the countryside with your guide by bike, from Yangshuo to Jiuxian, along the river and through the paddy fields. Arrive in the preserved-village of Jiuxian, known for its traditional houses. Then go back to Yangshuo. Leave to Guilin Airport and fly to Sanya. Spend the night in Sanya. Spend your days are at your own leisure. Feel free to explore the city and enjoy the beach. Spend the nights at South China Hotel. On day 11, fly in the afternoon to arrive in Beijing in the evening.